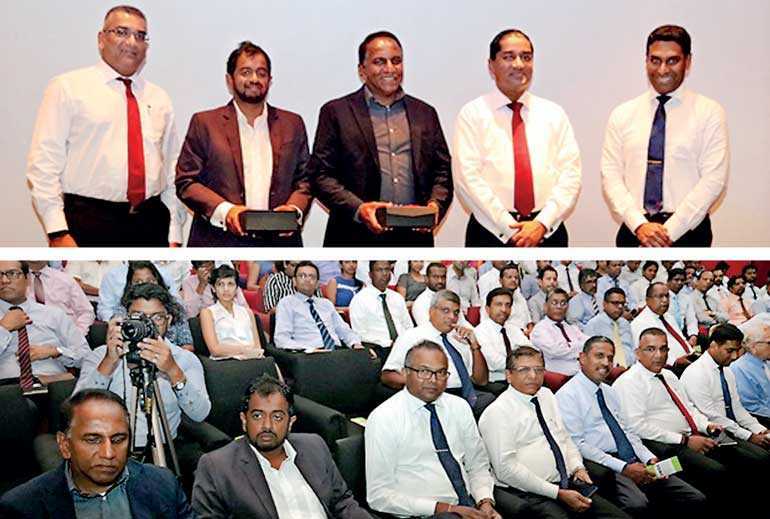 The third Bankers Evening Forum of the Association of Professional Bankers – Sri Lanka (APB Sri Lanka) was held on Tuesday 14 August at the BOC Head Office Auditorium. 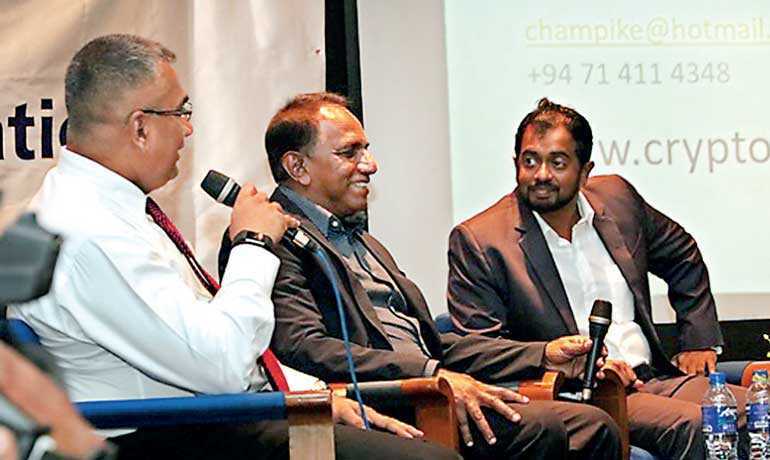 APB Sri Lanka held this Forum in collaboration with the Sri Lanka Forex Association and on this day there was a presentation and a panel discussion on ‘Blockchain & Cryptocurrency’. A large number of participants including bankers, professionals and special invitees attended the event. The speakers for the day were 3W Group Founder and Managing Director Stefan Moraes, Bitcoin Ltd. Director/CEO Champike Munasinghe, and Seylan Bank Plc Chief Information Officer Harsha Wanigatunga. The first presentation of the evening was done by 3W Group Founder and Managing Director Stefan Moraes. The 3W Group is specialised in business changeover and augments performance through innovative business solutions. Moraes highlighted the real world developments using the Internet of Things (IoT), big data, intelligent web, Cognitive AI, Blockchain and Cryptocurrency. He spoke widely on the digital disruption that is taking place in the complex business world. Moraes emphasised the fact that the world will be connected with the World Wide Web with 25 billion devices by 2020. Stefan opined that the Brick & Mortar business will end in the future. Further, he presented some examples of the use of sensors and the emotional intelligence with the use of IoT. According to him, currently the A320 Airbus consists of 500+ sensors, 2Terabytes of data per flight and in-built passenger experience analytics. Another example is the Trenitalia using more than 1,000 sensors and reaching 5,000 data points in seconds. Alfa-Bank in Russia also uses a fitness banking system where the bank gathers details of an individual’s fitness tracking devices and monitors the movements made each day and based on the analysis of the movements made on each day, small amounts of money are transferred to their savings account. He also mentioned that in this hyper connected world, the behaviour of human beings will be monitored by big data analytics every second. In summary Moraes highlighted the opportunities available to the businesses in the digital space such as Blockchain and Cryptocurrency. He noted that the investments in digital marketing, innovation ability, “wow” factor, lean factor and employee engagement should be considered. According to him, the Digital Quotient (DQ) is also a vital aspect in creating a more digital organisational culture. The second speaker Champike Munasinghe, a Pioneering Technologist, Investor and Serial Entrepreneur mainly deliberated on the Blockchain and Cryptocurrency. He spoke on the initial emergence of Blockchain and Cryptocurrency, uses in the industries, the risks and the practical use in Sri Lanka. He stated that Blockchain and Cryptocurrency is a niche market which has been mostly initiated by emerging financial companies and technological companies. According to him the Bitcoin is the first cryptocurrency in the market. Munasinghe stated that the Wallet is identified as the store for user’s key for Blockchain and that the fiat currency can be converted to cryptocurrency. According to Munasinghe the biggest exchanges are named as Bitfinex, Coinbase, CEX, Poloniex and nowadays giant banks such as Deustche Bank, Northern Trust, Morgan Stanley, Galaxy and Barclays use these technologies to enhance their productivity in processes. In fact, NASDAQ and New York Stock Exchange has plans to open Cryptocurrency exchanges for trading as well. Munasinghe, emphasised that most organisations go forward with Cryptocurrency due to the flexibility built in and the growth potential identified in the market. He further mentioned that there are other types of crypto currencies in addition to Bitcoin such as Ethereum, Ripple, Bitcoin cash, Cardano and Litecoin. Munasinghe stated that there is another interesting concept called “ICO” (Initial Coin Offering) which is very similar to the Initial Public Offerings (IPOs) to raise funds from the potential investors for specific business needs. ICOs are used by many Companies all over the world due to the faster reach towards investors, faster execution ability than the IPO, no dilution of equity etc. He mentioned that opportunities such as Exchanges, ICO and Mining are available in Sri Lanka for these technologies. However, Sri Lanka needs to focus on the risks in mining and exchanges. He mentioned that the regulatory framework in Sri Lanka does not allow Cryptocurrency as a legal tender. He mentioned that there is an evaluation committee appointed by the Central Bank of Sri Lanka to evaluate the use of Cryptocurrency. Finally, Harsha Wanigatunga initiated the panel discussion with some questions and opened up the Q&A session to the audience allowing them to verify their doubts on the Blockchain and Cryptocurrency. This forum enabled the participants to focus more on the digital revolution which is identified as the fourth Industrial Revolution. APB Sri Lanka plans to hold similar forums in the future on topical themes to broaden the knowledge of the banking community.